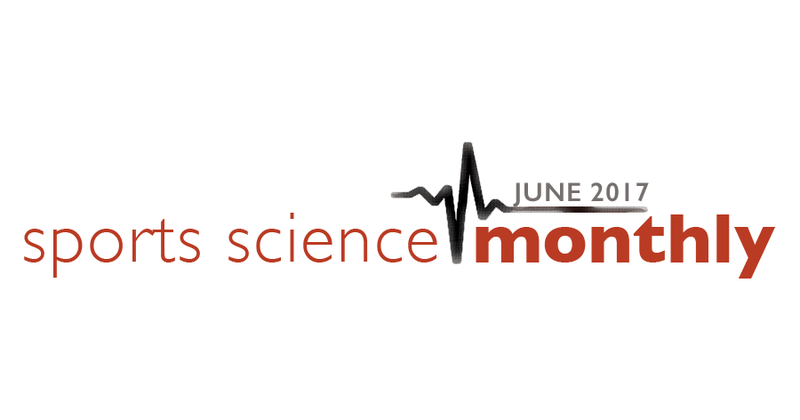 Welcome back to another installment of sports science monthly. We kick off this month with a look at strength training frequency and how it might represent a worthwhile avenue for exploration in well-trained athletes looking to gain muscle. We also have a review article examining nutritional periodization, how beliefs can affect how much of an improvement you see from a sports supplement, a case report on rhabdomyolysis, and a look at a new model proposed to explain fatigue. Let’s get going. As always, the full Sports Science Monthly is available exclusively to HMMR Plus Members. The first topic below is free to everyone, but sign up now to read about all the research. To get an idea of what Sports Science Monthly is all about, the April 2016 edition is available in its entirety for free. Fatigue: A new, integrative model? → Quick Summary: Increasing strength training volume and intensity are effective for beginners, but in more advanced athletes a threshold appears to exist where further increases don’t yield sufficient results. As such, increasing the frequency of training, and reducing within-session volume and intensity, might be a useful alternate strategy for high level athletes looking to further increase muscle mass. A large part of sports training is attempting to increase strength, or strength related aspects such as power. During my senior sports career, roughly half of my weekly sessions were spent in the gym, and this is true of most athletes, particularly in strength-based sports and events such as the throws. Traditionally, the big lifting training sessions are separated by 48-hours recovery, and once an athlete is advanced, progression occurs by increasing the weight or potentially doing slightly more volume. This is a fairly standard tenant of strength training program design, and falls in line with the American College of Sports Medicine recommendations for improvements in general strength. However, a paper recently published in Sports Medicine makes a case for frequency being perhaps the key variable to manipulate when it comes to skeletal muscle hypertrophy responses to resistance training. This paper looks exclusively at muscle hypertrophy, which, whilst it is correlated with muscle strength, this correlation is not perfect. It is possible to get improvements in muscle strength without concurrent increases in muscle hypertrophy, but it’s probably fair to say that significant strength gains often occur alongside at least some amount of hypertrophy. Indeed, in some sports increases in muscle hypertrophy are perhaps more important, or at least as important, as improvements in muscle strength. An obvious example is competitive bodybuilding, but also sports/positions where size and weight are important, such as rugby forwards and in bobsleigh (when I started bobsleigh at 88kg, I was about 15kg underweight!). One issue with muscle hypertrophy is that it slows down significantly when the athlete is trained; the vast majority of muscle growth occurs within the first 6-10 weeks of training. After that, the athlete continues to train, but achieves smaller incremental increases in muscle size. The authors of this paper state that this is down to a number of factors, including the athlete approaching their genetic potential, but also due to the difficulty of being able to be placed under an effective stimulus for muscle growth. An issue here is that just adding additional sets within a training bout appears to have a point after which no additional benefit occurs; doing 20 sets is probably not better than doing 10, and also impractical. The key is to reach the point at which the anabolic response to exercise is maximized, and then doing no further training in that bout. This allows for the efficient hypertrophy of muscle, without excess training volume occurring. A couple of research studies have found no additional benefits of six or eight sets of exercises compared to three or four sets per session in terms of muscle hypertrophy. This raises the possibility that there are a number of “wasted” sets within a typical training program aimed at promoting hypertrophy (which not all programs aim for, keep in mind). So what’s the solution? These authors make a strong case for increasing training frequency. After resistance training, muscle protein synthesis is elevated for 24-48 hours, the size and duration of which is lower in trained compared to untrained individuals. We might think, therefore, that in trained individuals the muscle hypertrophic response is only elevated for around 24 hours post-exercise. So here’s the situation – doing more than 3-4 sets of an exercise is potentially inefficient (as it doesn’t lead to further increases is skeletal muscle protein synthesis), and in trained athletes this increase in protein synthesis abates after around 24 hours. The solution proposed is that athletes undertake resistance training on the same muscle group more frequently, perhaps daily. One huge problem here is that this can lead to an increase in total training load; however, it is suggested that athletes only utilize 1-3 sets per exercise, so the total daily volume can be reduced. It is also suggested that this increase in frequency would not need to be indefinitely maintained, because increases in muscle hypertrophy can be maintained with lesser frequency/volumes; it merely represents a technique used when improvements in hypertrophy are important. There are obviously some limitations to this hypothesis. It’s largely untested, for a start. In addition, at some point the athlete will reach their genetic ceiling, and so further training aimed at promoting hypertrophy would be unwarranted. Finally, as previously mentioned, this only examines increases in hypertrophy, as opposed to increases in strength; whilst the two are linked, they’re not the same thing. Hopefully, more research in the future will focus on training frequency, because it’s an interesting concept and I for one would be interested in how it pans out.